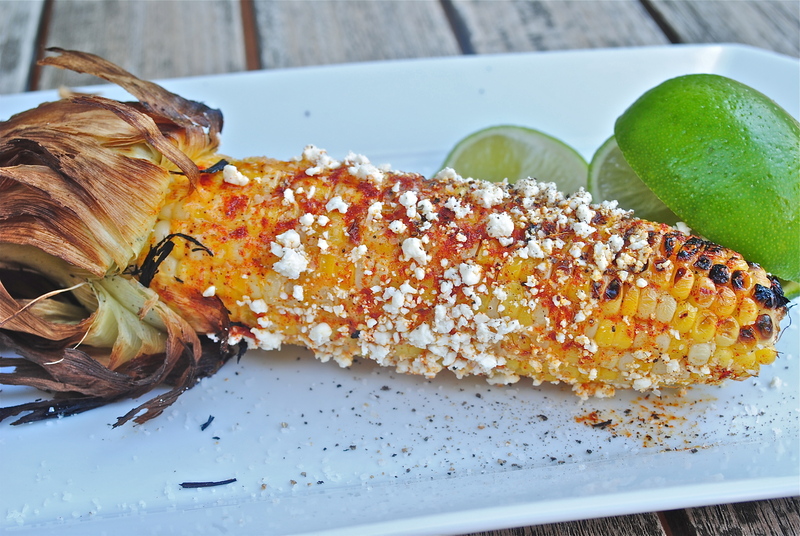 A squirt of lime makes this even more delicious. 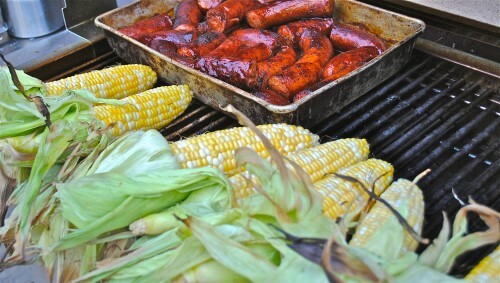 What is it a backyard bbq without some type of corn. 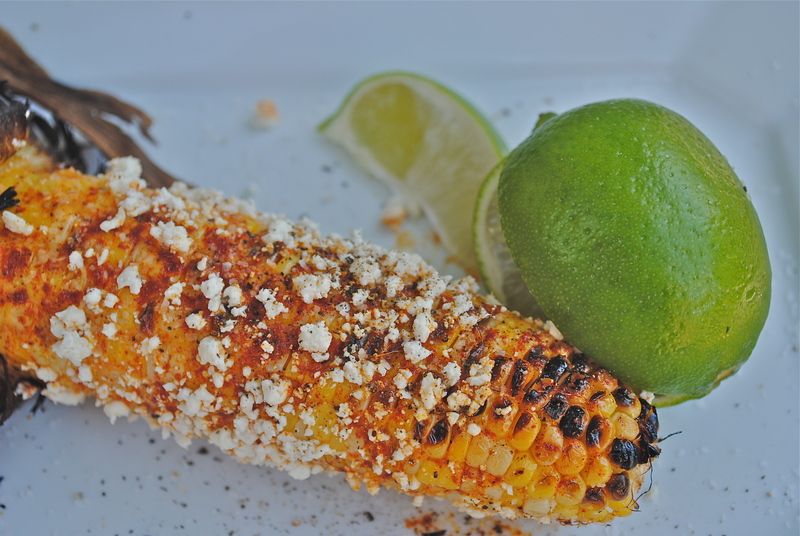 Whether it is corn on the cob, corn relish, corn casserole, corn fritters, or corn and black bean salsa…. I could go on and on about the many uses of corn. Don’t you just love the summer months where so much of your time is spent outside either tending your flowers, gardens or getting ready for a party. I tend to go overboard in the amounts of food I prepare but what the heck, it’s a holiday, a family gathering or a party with of friends coming over for something delicious to eat and that’s what I like to do. My motto has always been it’s better to have too much food than not enough and if someone doesn’t want to eat EVERYTHING I make, then they can make the decision on which of the foods to pass on. 1. Plan your menu early and do shopping early in the week before the party. 2. Do as much of the cooking in advance as you can and that way you can enjoy the party along with everyone else. You can do some partial prep if needed, then finish right before guests arrive. 3. Clean your grill and any coolers you may be using. 4. Have your plates, napkins, cups and utensils and any table covering set out and ready to go. Anyone that comes early can be included in setup. They will enjoy being able to help out. 5. Check seating and make sure you have plenty and it’s clean. 6. If bugs are a problem in your area, have some the small food tents to cover your dishes. 7. Don’t use scented candles as they will attract bees and wasps. 9. Have sunscreen and bug spray available. 10. If you are going to spray your yard for bugs, do so well in advance of the guests arriving or any food is put outside. 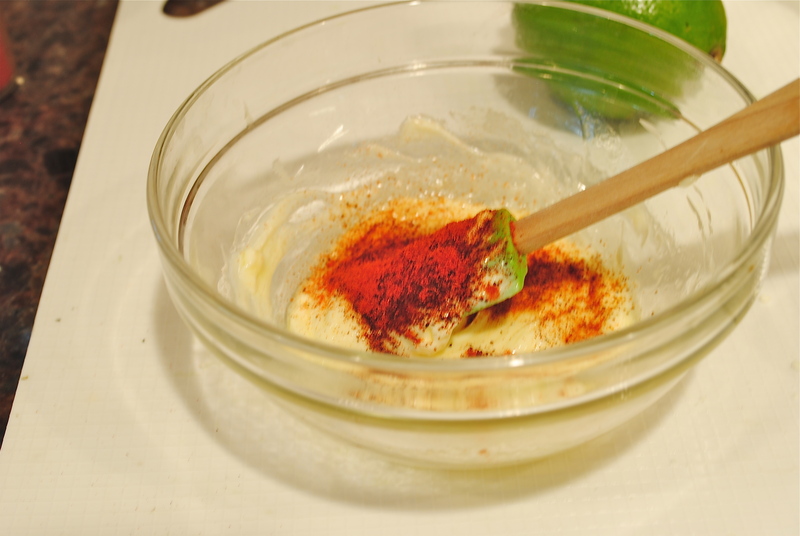 A little mixture of mayonnaise, melted butter, lime juice or zest, cayenne pepper, chili powder and paprika. 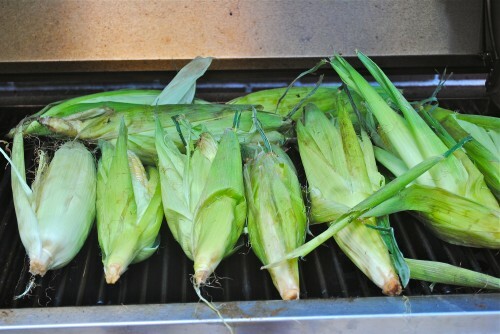 After soaking the corn in water for 1-2 hours, open back husk, remove silks and then it’s ready for the grill. On the grill for about 10-15 minutes, then the husk gets peeled back and put the corn back on with the husk sticking out of grill as above. Almost ready, just needs to brown a little. Crumbled cojita cheese where the corn get a roll after cooking. After grilling the corn gets brushed with the mayonnaise mixture and then rolled in the cheese. 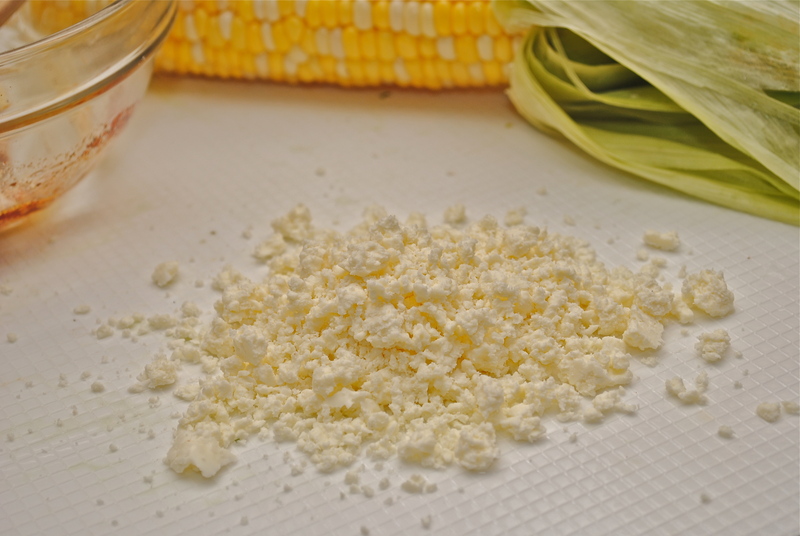 In a large bucket or cooler soak corn in husk for 1 to 2 hours. Peel back husk leaving them attached at the base and remove all the silk. Then pull the husk back over the corn. 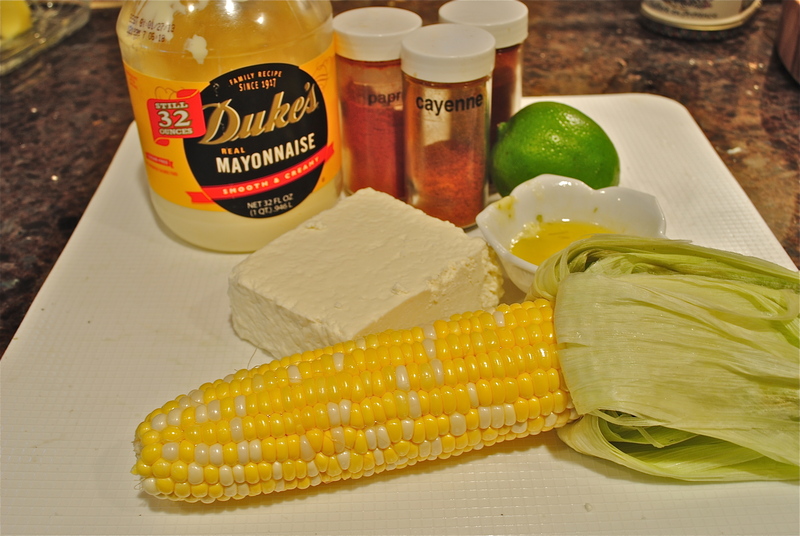 In a medium bowl combine the mayonnaise, melted butter, cayenne, chili powder, paprika, and cilantro. Set aside until ready to use. Heat the grill. 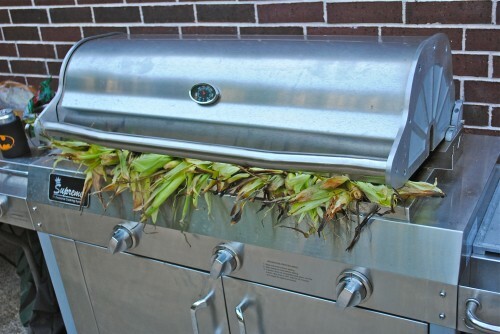 Put the corn on grill and put lid down. Grill for about 10 minutes. 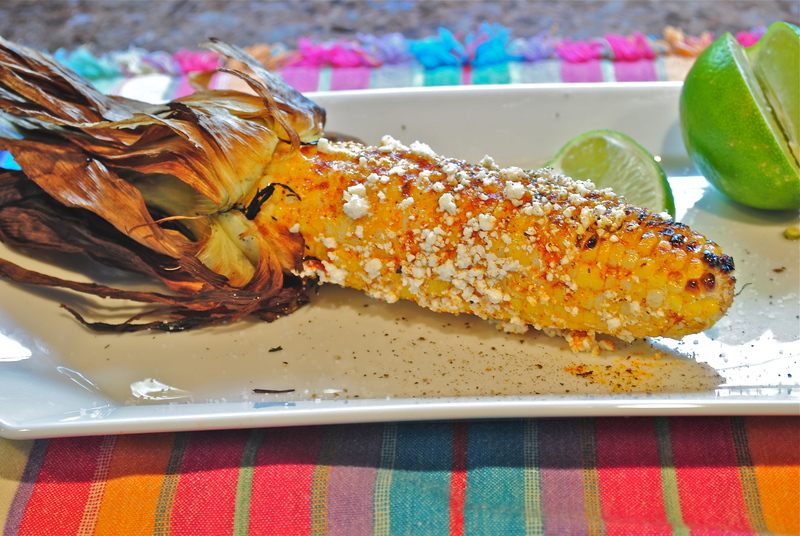 Remove corn and either remove husk entirely or peel it back and this can be used as a handle when eating. Put back on grill. If you have left the husk on, have it hanging over the edge of the grill when the top is shut. Grill for about another 10 minutes or until your desired doneness. Remove corn from grill. 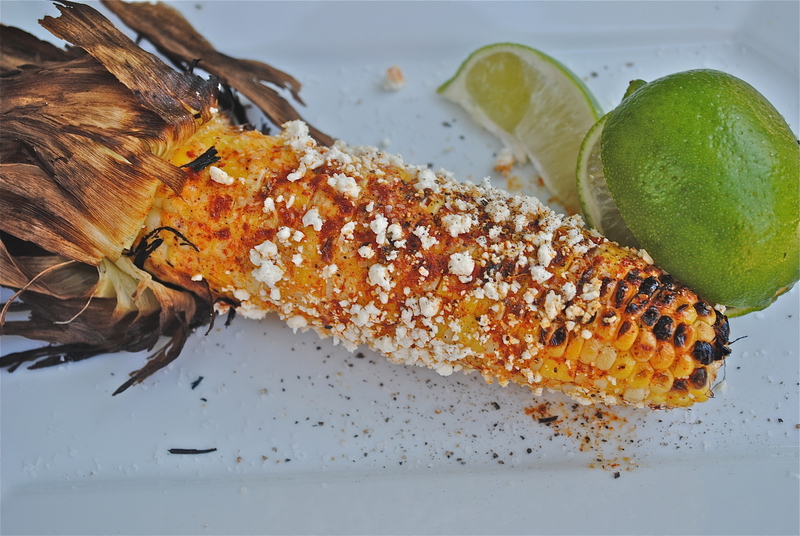 Brush with the mayonnaise mixture, roll in the crumbled cheese and serve with lime wedges, salt and pepper.